Posted in 2018, Past Issues. 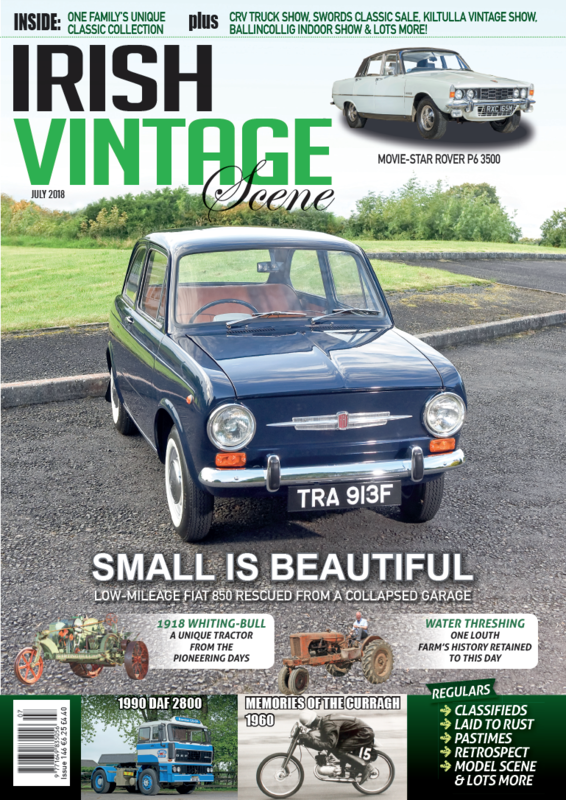 The July 2018 issue of Irish Vintage Scene (Issue 146) is now on sale, and on the cover this month is a beloved little classic in the form of a Fiat 850. The largest of the rear-engined Fiat saloon series that started with the 600 in 1955 and included the iconic Nuovo 500 of 1957, the 850 found many buyers in this part of the world. The example we feature this month had been languishing in a collapsing garage for several decades before being bought by the current owner and restored to beautiful condition. Our second feature car is another bona-fide classic nowadays, a Rover P6 3500 featuring the legendary Rover V8 engine – this example has been a star of the big screen, albeit in a small way and disguised as a police car in the process, and is clearly cherished by its owner. Our first feature tractor this month looks at one of the most unusual designs of the pioneering days – the three-wheeled, one-wheel-drive Whiting-Bull, which incidentally has an assembly history in this country – while our second is a visit to a Co. Louth farm that not only retains its old Allis-Chalmers purchased in the 1950s, but also its water-powered threshing mill from the 1850s. 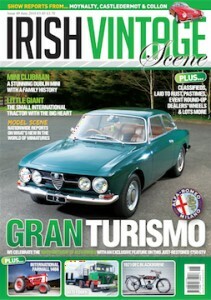 Our motorcycle feature this month is a change from the usual, when we meet a London-based former racer to chat about his memories of competing at the Curragh Short Circuit meeting in 1960, the last annual race meet at that famous track, while our commercial vehicle feature looks at a very well-preserved DAF 2800 Turbo that’s still in the ownership of Bandon Co-op in Cork, where it was bought almost thirty years ago. 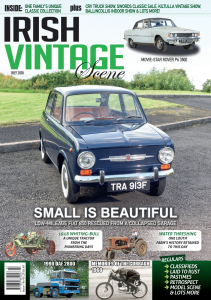 And, as an added bonus this month we have a feature on a family collection from Co. Monaghan that incorporates Honda 50 motorbikes, classic tractors and cars. 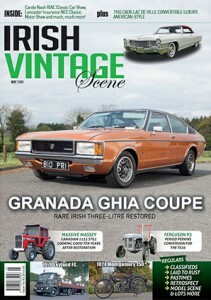 Event reports include the CRV Truck Show, Spring Classic Car Show, Sale & Autojumble in Swords and the Classic & Old Skool Indoor Show, and all of the usual favourites are in there too, so don’t miss out – get your July 2018 issue of Irish Vintage Scene today at any good newsagent, or order here online!